Mozambique - Where We Work - International - World Education, Inc. 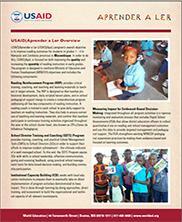 Since 2012, World Education has been a major contributor to USAID’s education and health strategies in Mozambique. Mozambique’s rapid expansion of the education system after the 16 year civil war left a deficit of qualified teachers and has overburdened school and district managers. At the same time, Mozambique is home to an estimated 1.8 million orphans and vulnerable children (OVC) who lack access to quality education, healthcare, food, shelter, psychosocial support and suffer exposure to child labor, human trafficking, sexual abuse and exploitation, and violence. World Education’s work on multiple USAID funded programs in Mozambique addresses these complex and interconnected challenges. 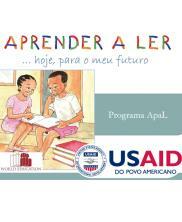 To respond to the core challenges to the education system, World Education implemented the USAID | Aprender a Ler (Learn to Read): Mozambique Early Grade Reading Project (2012-2016). The project, implemented in Nampula and Zambezia provinces, reached students in grades 1-3 in more than 1,000 urban and rural schools by training teachers, creating instructional materials, and designing evaluation tools to measure reading improvements. Building on the successes of this program, World Education is partnering with Creative Associates to implement the USAID | Vamos Ler! (Let’s Read) program. The new project is assisting the Ministry of Education and Human Development (MINEDH) develop students' skills in reading and writing in the local language, while improving speaking and listening skills in Portuguese as they prepare for the transition to Portuguese in Grade 4. 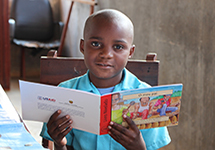 In addition to in-school interventions, World Education has partnered with the United States Peace Corps to train Peace Corps volunteers and their counterparts to create community library programs in nine provinces throughout Mozambique. World Education provides technical support in facilitator training and literacy activities, along with high-level evaluation services. 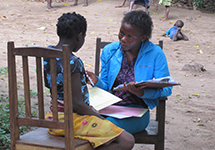 To address the health challenges facing Mozambique, World Education/Bantwana Initiative is implementing Força à Comunidade e Crianças Project (FCC) (Child and Community Strengthening).The project works across nine districts in Mozambique’s Manica, Sofala, and Zambézia provinces to reach approximately 72,000 vulnerable children, adolescents, and their caregivers with information and strategies related to the challenges they face. 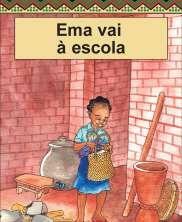 World Education, Inc. is helping improve early grade reading outcomes in the target Mozambican provinces of Nampula and Zambézia. The USAID | FCC project is strengthening family-centered, community-based approaches for care, support, and protection of orphans and vulnerable children.